PESHAWAR -- Safety hubs set up in cities across Pakistan are striving to raise awareness about journalists' safety and to serve as a source of protection for journalists in distress due to terrorists' threats. "If you face, feel or receive any threat, report it here," reads a banner hanging at the Peshawar Press Club. "The Pakistan Press Clubs Safety Hub initiative was launched by International Media Support (IMS) in 2016 through its national partner, Freedom Network," said Iqbal Khattak, a senior journalist based in Peshawar and safety co-ordinator for IMS in Pakistan. Safety hubs are set up at press clubs in Karachi, Lahore, Quetta, Islamabad, Peshawar and Dera Ismail Khan, Khattak told Pakistan Forward. The hubs in Peshawar and Dera Ismail Khan also support journalists from the Federally Administered Tribal Areas (FATA), where such centres did not open because of security reasons, he said. 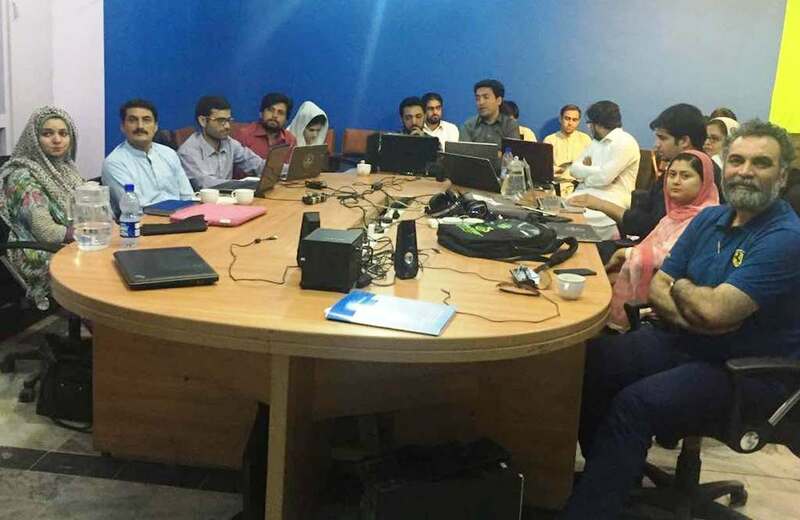 The safety hubs have arranged more than 100 advocacy meetings in various cities of Pakistan to inform journalists about best practices to ensure their safety while performing their duties, Khattak said. Within the first year of the safety hubs' operation, they have provided assistance to eight journalists, including the relocation of one reporter from Quetta because of a serious threat to his life, he said. "Any report received about a threat to a journalist is counter checked for verification through his colleagues, his organisation's head and concerned police officials," said Gohar Ali Khan, manager of the Peshawar Press Club Safety Hub. After the case is evaluated, a committee of safety hub staff decides on a course of action based on the acuity of the threat or fear he or she is facing, Gohar told Pakistan Forward. 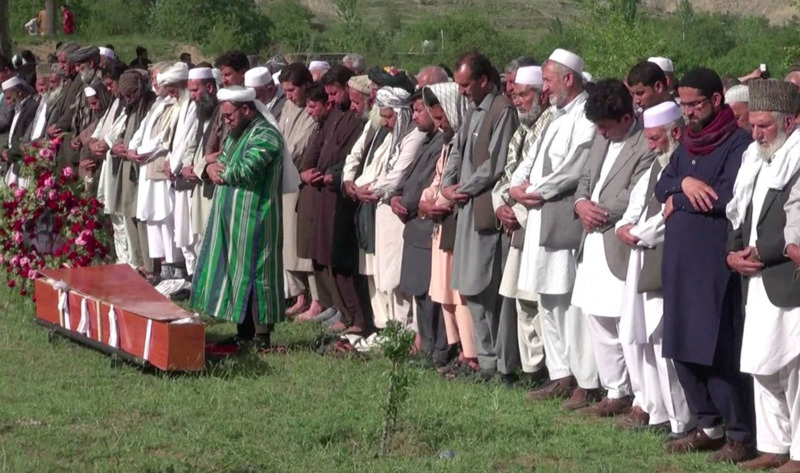 Safety hubs also provide financial assistance to families of journalists who have died in the line of duty, he said. For example, the family of Mehboob Shah Afridi, former president of the Tribal Union of Journalists who died January 19, 2016, in a suicide bombing in Khyber Agency, received financial aid, said Gohar. "Our goal is sensitisation of journalists and government officials to the safety of journalists who are becoming a target of bombings," said Gohar. The efforts of the press clubs have borne fruit with the draft of a journalist safety bill already prepared in all four provinces of Pakistan that will soon be tabled in provincial assemblies, he said. 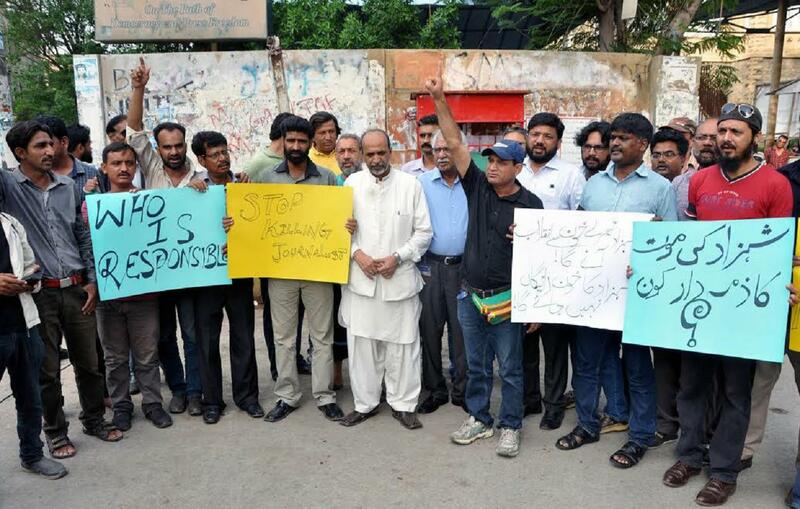 Pakistan is one of the most dangerous countries for journalists, according to international media rights organisations. "From the year 2000 until now, about 114 journalists have been killed and about 2,000 others faced kidnapping and injuries due to armed attacks," said Adnan Rehmat, an Islamabad-based journalist and IMS programme manager in Pakistan. Pakistani journalists face great hardships because their coverage might offend terrorists and because they go to inherently dangerous venues, he told Pakistan Forward. The nature of journalists' work endangers their lives, said Adnan, who wrote a book called "Journalists Under Threat" that contains personal stories of 100 journalists in Pakistan who have faced persecution and attacks. Journalists suffer armed attacks and receive death threats from insurgents, he said. "Establishment of safety hubs is a good step that will help protect the lives of journalists who are living in danger," he said. For the first time, Pakistanis are compiling data on attacks and threats against journalists, said Mehmood Jan Babar, bureau chief of Geo News in Peshawar. The safety hubs are helping to create awareness among journalists of their own safety, something he takes very seriously. "Soon after the armed attack in Karachi on a SAMAA TV digital satellite news gathering van by the Tehreek-e-Taliban Pakistan [TTP] militant group on February 12, 2017, which killed a staff member, I made sure that my team members use safety equipment while covering news events," Mehmood told Pakistan Forward. Safety equipment includes helmets and bullet-proof vests, he said. Mehmood also sent an advisory to his staff and all bureau chiefs of Khyber Pakhtunkhwa (KP) television channels. He encouraged them to adopt standard operating procedures to ensure the safety of working journalists. The nature of the job puts journalists' lives in extreme danger, he said. There is a dire need to educate journalists to make personal safety their top priority, rather than putting themselves in danger for the sake of breaking the news, he said. "After gaining awareness about self-protection, I take extra care to keep myself out of danger," said Adil Pervaiz, a reporter for Geo News in Peshawar. Adil said an advocacy meeting arranged by the Peshawar Press Club Safety Hub and other such organisations educated him about ways to stay safe while reporting on bombings. For example, he said he maintains a safe distance from law enforcement personnel and from large crowds while doing his job. "This practice should continue on a regular basis because the threat to journalists exists and protection can be ensured only through safety measures," he told Pakistan Forward. Both Jamatul Ahrar and the "Islamic State of Iraq and the Levant" (ISIL) claimed responsibility for the attack, which killed 70 and injured 92.